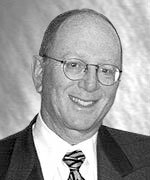 Dr. Howard G. Berger, M.D., Chairman, co-founded RadNet in 1980 and serves as the President and Chief Executive Officer of Primedex Health Systems, Inc., RadNet’s parent. Dr. Berger has over 25 years of experience in the development and management of successful healthcare businesses. He began his career in medicine at the University of Illinois Medical School, following college graduation from Western Reserve University in Cleveland. He is Board Certified in Nuclear Medicine and trained in an Internal Medicine residency as well as in a masters program in medical physics in the University of California system. Dr. Berger’s extensive expertise in radiology and business operations, knowledge of the marketplace and personal relationships within the industry have afforded RadNet with the leadership, insight and experience necessary to successfully compete in a dynamic marketplace. Norman R. Hames serves as RadNet’s President and Chief Operating Officer for Western Operations. Applying his 20 years of experience in the industry, Mr. Hames oversees all aspects of facility operations. His management team, comprised of Regional Directors, Site Managers and Sales Managers are responsible for responding to all of the day-to-day concerns of our facilities, patients, payers and referring physicians. Prior to joining RadNet, Mr. Hames was President and CEO of his own company, Diagnostic Imaging Services, Inc. (DIS), which owned and operated 14 multi-modality imaging centers throughout Southern California. Mr. Hames gained his initial experience in operating imaging centers for American Medical International (AMI) and was responsible for the development of AMI’s single and multi-modality imaging centers. John Crues, III, M.D. is a world-renowned radiologist. Dr. Crues plays a significant role as a musculoskeletal specialist for many of RadNet’s patients as well as a resource for physicians providing services at our facilities. Dr. Crues received his M.D. at Harvard University, completed his internship at the University of Southern California in Internal Medicine and completed a residency at Cedars-Sinai in Internal Medicine and Radiology. 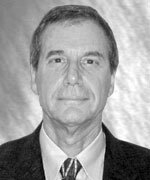 Dr. Crues has authored numerous publications while continuing to actively participate in radiological societies such as the Radiological Society of North America, American College of Radiology, California Radiological Society, International Society for Magnetic Resonance Medicine and the International Skeletal Society. Dr. Crues also manages RadNet’s radiology fellowship program. David Swartz has thirty-five years of experience providing accounting and advisory services to clients in several industries including manufacturing, wholesale, retail, entertainment, real estate and professional services. Since 1993, Mr. Swartz has been the managing partner of Good Swartz Brown & Berns. Prior to this, Mr. Swartz served as managing partner and was on the national Board of Directors of a 50 office international accounting firm. Mr. Swartz is also a former CFO of a publicly held shopping center development company. Mr. Swartz has been a guest lecturer at several Southern California universities, and is a frequent presenter to area trade and professional organizations. He has served on the advisory boards of several companies. Mr. Swartz is the President of the California Board of Accountancy. Active in the community, Mr. Swartz is past president of the Jewish Big Brothers of Los Angeles and serves on the boards of several other charitable foundations. 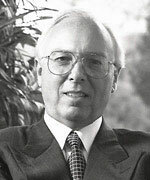 Lawrence L. Levitt has been the President, Chief Financial Officer and a shareholder of Canyon Management Company, a financial services firm which is General Partner of Genesis Investors, a “fund of fund” hedge fund investing primarily in marketable securities, since its inception in 1987. Since 1981, he also has been Managing Partner of Round Two Investment Partners, a privately held investment partnership engaged primarily in securities-related activities. Mr. Levitt is a director of River Downs Management Corporation, which operates a thoroughbred race track in Ohio. From 1973 until 1981, Mr. Levitt was Executive Vice-President of a closely held international crude oil reseller. Prior to 1973, Mr. Levitt was a Certified Public Accountant and tax manager with Arthur Young and Company, Los Angeles, California. 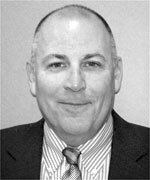 Mr. Cadwell has more than 35 years of experience in operations and general management in healthcare-related organizations. He served as the president and CEO of Shared Medical Systems Corporation (SMS), a leading provider of health information solutions. During his tenure with SMS, Mr. Cadwell grew the company’s revenues from $650 million to $1.2 billion and was instrumental in driving its acquisition by Siemens. Prior to becoming SMS President and CEO, Mr. Cadwell was the managing director of SMS Europe and held managerial roles in the administrative, financial and information disciplines of various health organizations. Prior to joining SMS in 1975, Mr. Cadwell spent over a decade in management positions with the Daughters of Charity Health System. Michael L. Sherman, M.D., F.A.C.R. Michael L. Sherman, M.D., F.A.C.R., served as a director of Radiologix between 1997 and November 2006, until its acquisition by the Company. He founded and served as President of Advanced Radiology, P.A., a 90-person radiology practice located in Baltimore, Maryland, from its inception in 1995 to 2001, and subsequently as its board chairman and a consultant until his retirement from active clinical practice in 2005. In addition, Dr. Sherman was a director of MedStar Health, a ten hospital system in the Baltimore-Washington, D.C. area from 1998 until 2006 and served as a director of Medstar’s captive insurance company until 2011. Dr. Sherman has trained as a mediator and serves as president of Medical Mediation, LLC through which he has mediated professional liability and business cases. He was a director of HX Technologies, a healthcare IT private company, from 2006 until its sale in 2010. 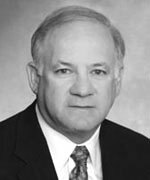 Dr. Sherman has broad experience in the medical and business aspects of radiology as a board member and chairman of various companies in the healthcare industry. 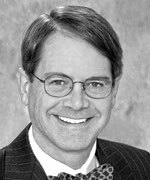 Effective January 2011, Dr. Sherman was elected to serve as the chair of our Nominating and Governance Committee and has been a member of our Compensation and Management Development Committee since 2007.